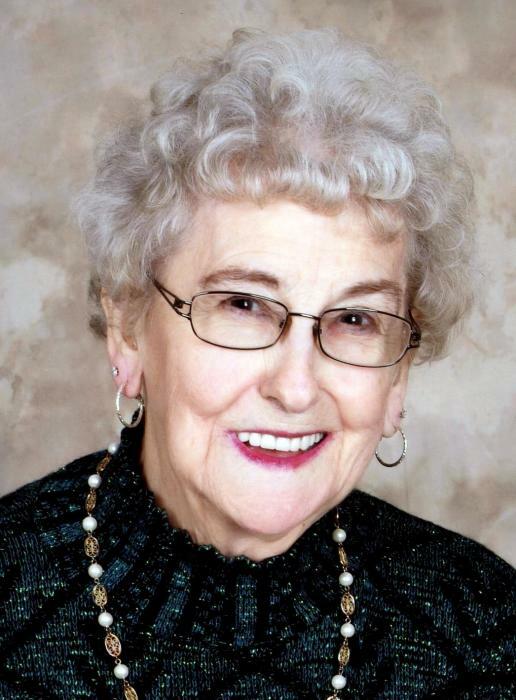 Coletta “ Cookie” Dray, 91, of Delphos, passed away on Friday, September 21, 2018, at The Meadows of Delphos. She was born on December 31, 1926, in Landeck to Henry and Johanna (Baumgarte) Ernst. On May 30, 1952, she was united in marriage to David Dray. He preceded her in death in September of 2008. Coletta is survived by one daughter, Diane (Roger) Trentman of Ft. Jennings; three sons, Gary (Sally) Dray of Delphos, Ronald Dray of Middle Point, and Timothy (Mary) Dray of Ft. Jennings; one sister, Annabelle Saum; and seven grandchildren, Marcy (John) Roets, Andrea Dray (Nick Rindler), Tyler Dray (Mikenzie Zullo), Spencer Dray, Renee (Stephen) Jacquemin, Travis (Melinda) Trentman, and Bradley Trentman (Taylor Eyssen); two great grandchildren, Paisley Jacquemin, and Ryan Trentman; three sisters-in-law, June Ernst, Dorothy Ernst, and Romaine Pavel; and one brother-in-law, John Dray. She was preceded in death by one son, Roger Dray; one sister, Eileen Wilcox; eight brothers, Albert, Sylvester, Paul, Eugene, Carl, Arthur, Francis and Jerome Ernst; and two grandchildren, Melissa Trentman and Alexander Dray. Coletta was a member of St. Joseph Catholic Church in Ft. Jennings. She was also a member of the Eagles Auxiliary #471, the VFW Post 6772 in Spencerville, and the American Legion Post 715 in Ft. Jennings. Coletta had worked at The Cigar Factory and was a homemaker. A Mass of Christian Burial will be held at 10:30 a.m. on Monday, September 24, 2018, at St. Joseph Catholic Church in Ft. Jennings. Burial will follow in the church cemetery. Fr. Charles Obinwa will officiate. Visitation will be held one hour prior to Mass at church, and on Sunday, September 23, from 2:00-8:00 p.m. at Harter and Schier Funeral Home in Delphos. Memorial contributions may be made to St. Joseph Church Building Fund.